Did you know that AAFES is teaming up with Firestone Complete Auto Care to provide services at 30 Army posts and Air Force bases throughout the continental United States?! 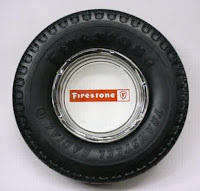 The partnership has already brought Firestone Care Centers’ tire and battery, oil, brake, alignment, steering/suspension and general automotive repair services onto several installations, including Ft. Hood, Scott AFB and Ft. Sill.